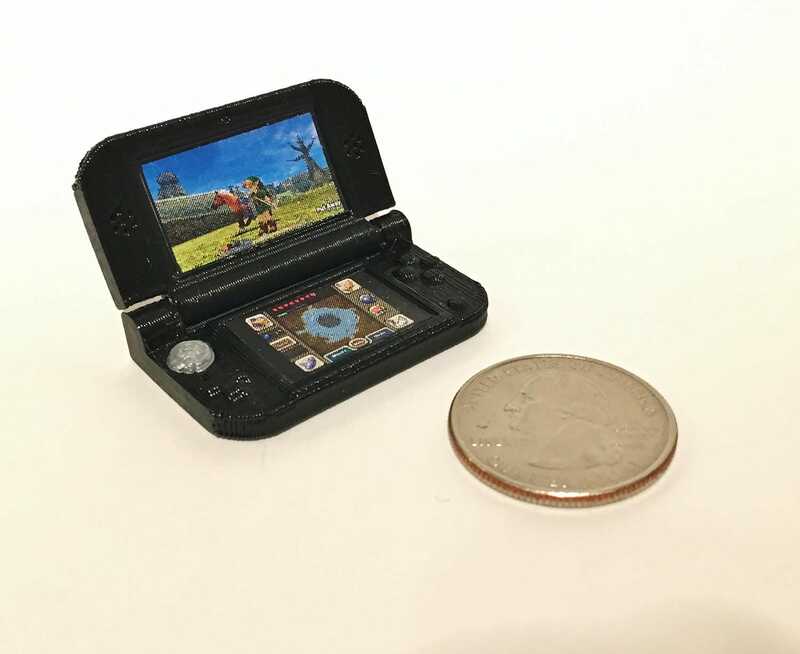 This tiny, 1.5" (39mm) wide Nintendo 3DS XL features a working hinge, and was designed using open source CAD software, 3D printed on a Makerbot Replicator, and hand painted and assembled. A great addition to your desk or studio. Includes one 3DS XL with working hinge. Please note that due to the hinge design, we cannot scale this item down. These are great 3d printed models. Buy them!